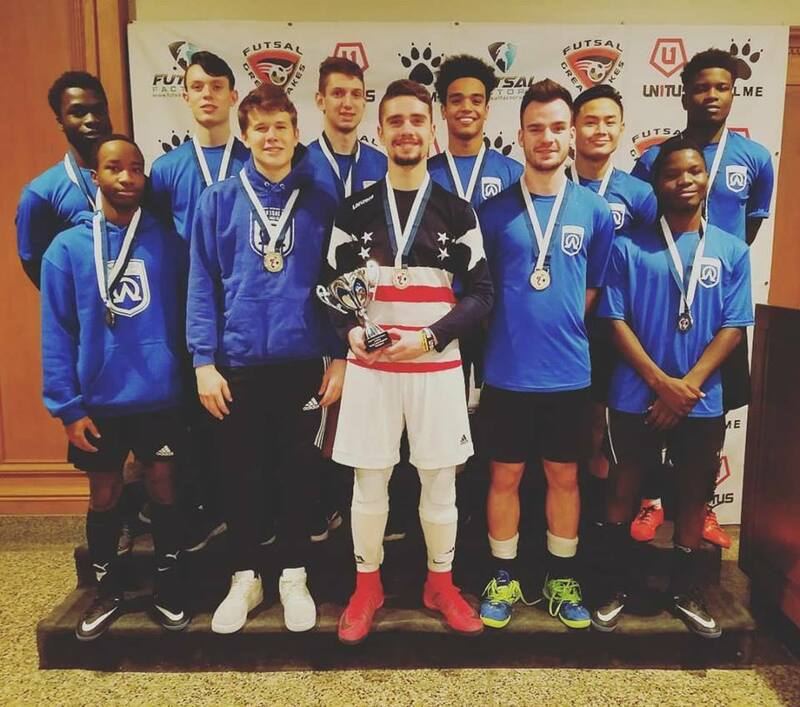 Being selected to the US Youth Futsal National Team was a great experience for Jake! The regional tryouts were held in early June in Akron, OH. From there he was selected to go to the National tryouts in Kansas City in late June. He was very excited to be one of 2 goalies selected for the 2003 boys team. 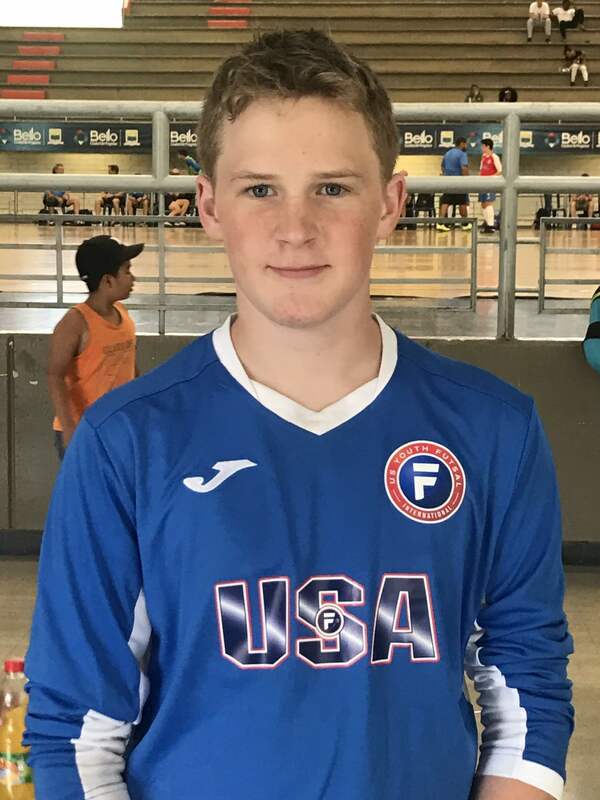 The US Youth Futsal organization took 6 teams to Medellin, Colombia, boys and girls teams for birth years 2003, 2002, 2000. Jake’s 2003 team tied their first game but lost the next two. The games were all competitive and Jake had a blast. In addition to the three game days, there was a day of futsal training, a team bonding excursion day, and a day for small-group local activities. 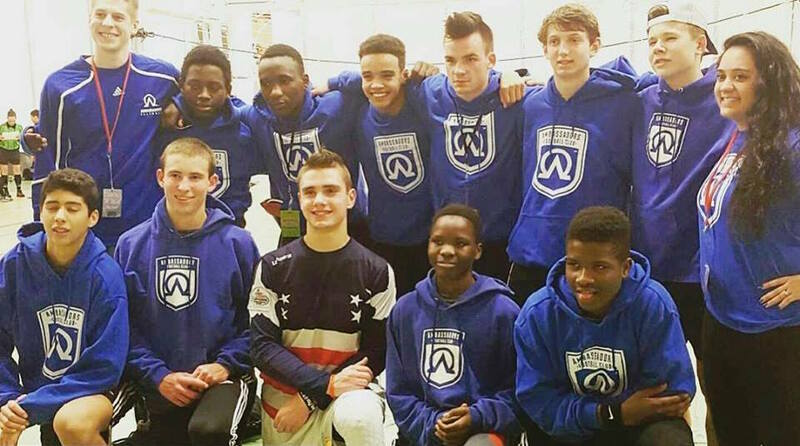 Unfortunately Jake missed the futsal training day due to weather related travel issues. A fair number of players missed their connections due to weather in Miami, Jake included. Medellin was a beautiful, large city in a mountain valley. Medellin is known as the City of Eternal Spring for good reason. The weather was excellent all week. With the scenery and language, there was no doubt you were in a foreign country, which was great. It was an awesome honor to represent the United States and the Ambassadors in an international competition. 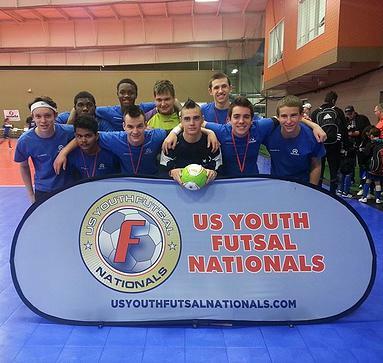 Both 2000s and 1999s played in the National Futsal tournament in New Century, Kansas. The 1999s came in 2nd during their 4th year in the final. We had a great showing with 5 teams. 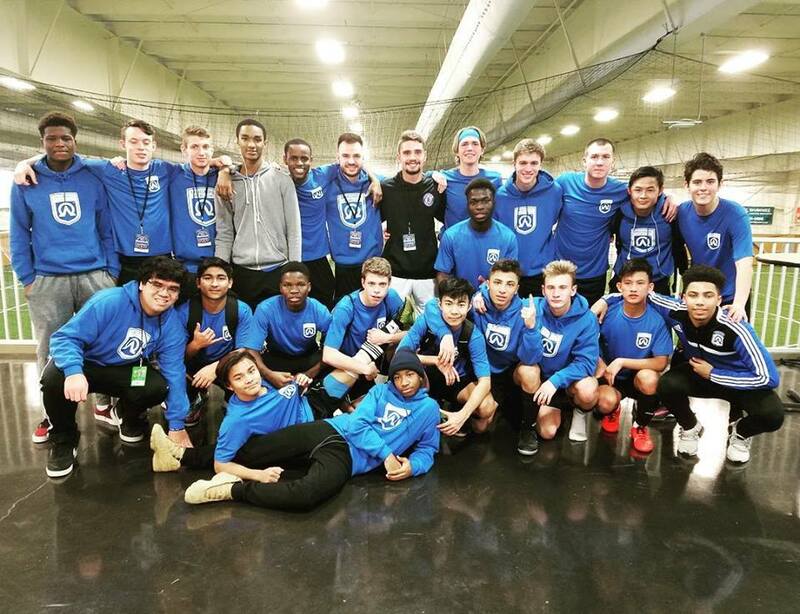 2001s lost in the semi-finals, 2000s finished 2nd, and 1999s won their 3rd Regional tournament. 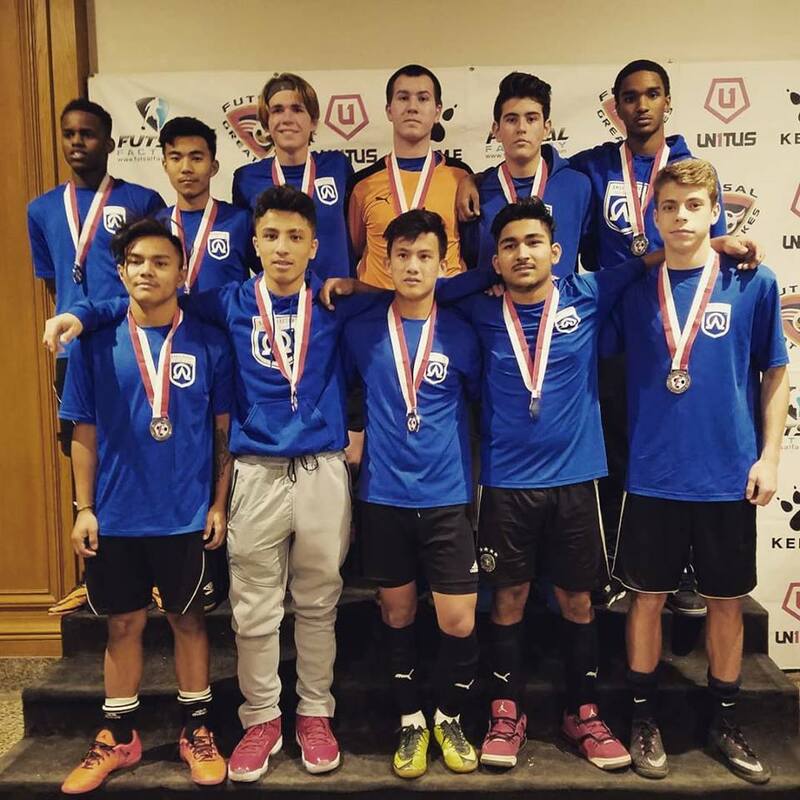 Congratulations to our U16 Boys team for winning the USYF National Tournament in New Century, Kansas! The boys fought back from a 4-0 deficit in the first match to tie 6-6. They then won the rest of their games including the Final match to earn the National Championship Title! Big thanks to Peggy Finnegan and Ward Hobbs for the coverage! 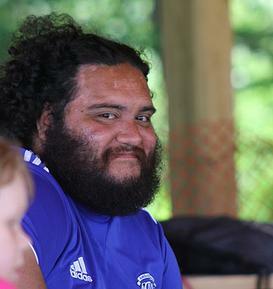 Lenny will be missed and never forgotten. Thank you all for you love and support through this difficult time. Congratulations to our U15s for winning 2nd in the Nation!! We’re so proud of you guys! 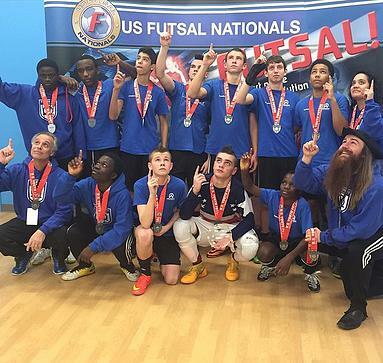 Great effort by our U17s as they played their hardest at Nationals! You made us proud!